In October 2015 for the first time I had been guest speaker at the Entrepreneurship Summit of the Entrepreneurship Foundation (see also Summit 2016). Just shortly before I met Prof. Faltin, the founder and driving spirit of the Entrepreneurship Foundation, on a startup-event where he gave a speech about “Founding with components” and got into a conversation with him. Prof. Faltin is the founder maybe even of first startup at all. The “Teekampagne” has been established in 1985 and imports and sells finest Darjeeling tea directly from the farmers to the consumer. Cost rising intermediary trade or unnecessary additional packaging is avoided to the benefit of both the growers as well as the consumers of the tea. The Entrepreneurship Foundation has been established back in 2001 with the aim to make people acquainted to entrepreneurship and self-employment. The books “Kopf schlägt Kapital“ (ISBN: 3446415645) and “Wir sind das Kapital” (ISBN: 386774419X) have become bestsellers and „must reads“ among people willing to become entrepreneurs. The foundation offers support to these founders with the entrepreneurship campus and so-called lab-events where training is available. 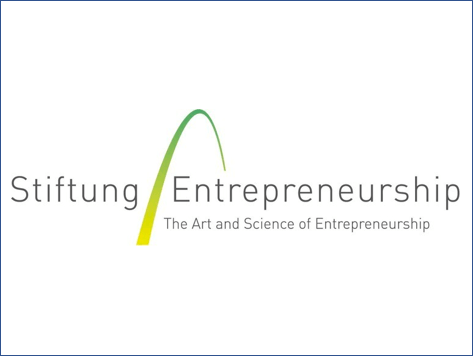 Annually the Entrepreneurship Summit is held at the Henry-Ford building of the Freie Universität Berlin with more than 1000 entrepreneurs, mentors, specialist and interested business people to listen to inspiring lectures at the lecture hall or to participate in dedicated workshops. Meanwhile an entrepreneurship competition is run, in which participants may build their startup life and prove their ideas with other participants. Instead of calculating business cases and attracting potential investors, the goal is to make the participants aware for self-employment as a way of life and that our own mind and our own talents are the essential capital.